Psst, Houston bride: Haven’t picked out your save the dates, wedding invitations, place cards, programs, or thank you notes yet? We’ve got a secret for you: There’s a new stationery studio in town, and it’s filled with must-have paper treats for discriminating Houston couples. If you’re looking for fine, one-of-a-kind paper products and invitations for your big day, head straight to Pressing Events in Memorial. This elegant shop caters to Houston brides who understand that save the dates and invitations set the tone for a wedding. 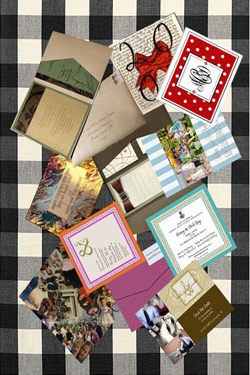 Pressing Events specializes in Letterpress Paperie designed by in-house artists. Alternatively, you may opt for letterpress invitations by southern California’s Wiley Valentine or The Lettered Olive of Charleston, South Carolina. Letterpress isn’t your thing? Don’t worry: Pressing event also offers thermography, embossing, and engraving for all of your custom wedding stationery needs. 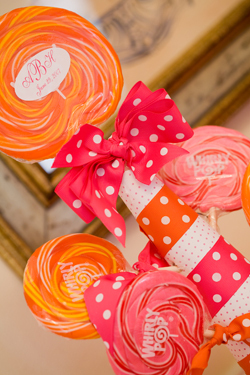 Did we mention that Pressing Events designs your stationery just the way you like it? And if you’re still looking for parent gifts, attendant gifts, or a gorgeous guest book, Pressing Events can help you with that, too. The shop has a small but lovely collection of fine gift items, photo albums, and monogrammed guest books that will remind your guests of the most beautiful invitation they’ve ever received—yours! 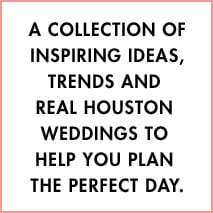 For those brides among you who may find themselves on a rather tight wedding budget during these rather tough economic times, we recently ran this post with great budget-maximizing tips from top Houston wedding planner Karen Brown. 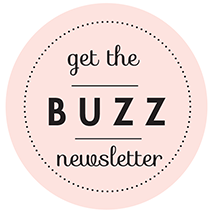 Well, we’re at it again, this time with input from the delightful and gracious Heather George of picturesque Conroe wedding venue Heather’s Glen. Amen to that, Heather. And thanks a million for the free advice—now we’ve got more to spend on that yummy candy buffet! Like peanut butter and jelly, like shoes and socks, like you and your future hubby, weddings and alcohol are two things that just, well, go together. But not always, and not for everyone. While most weddings feature alcoholic beverages in some form—a full premium bar, beer and wine, champagne, alcoholic punch or a signature cocktail—there are always going to be wedding guests who prefer to abstain. Do you really want to leave your nondrinking guest—whether a recovering alcoholic, designated driver, teenager or simply someone who chooses to forgo or limit her consumption—out in the cold? In addition to sparkling water and sodas (for extra panache, you may want to throw in a selection of fancy or retro-looking bottled fizzes such as IZZE Sparkling Juice, Thomas Kemper Vanilla Cream Soda, Dr. Brown’s Black Cherry Soda, etc.) there are plenty of perfectly celebratory nonalcoholic “cocktail” options you may choose to feature at your wedding. Your caterer or bar service may specialize in certain no-booze beverages, so be sure to ask what’s on the menu. And make sure your bar is stocked with the necessary juices, syrups, mixes and garnishes to make a great nonalcoholic drink should a guest request one. Perfect for hot-weather weddings, the Madras is a refreshing blend of orange and cranberry juice. Just omit the vodka that usually goes into this vibrant cocktail, serve in a highball glass with plenty of ice and an orange-slice garnish, and you’ve got a perfect beverage for a sunny al fresco or tented reception. Tip: Sub grapefruit juice for orange juice and you’ve got an alcohol-free Sea Breeze; sub pineapple juice for orange, and, voila, it’s a Bay Breeze! This one takes a little work to prepare fresh to order, but it’s well worth the effort. 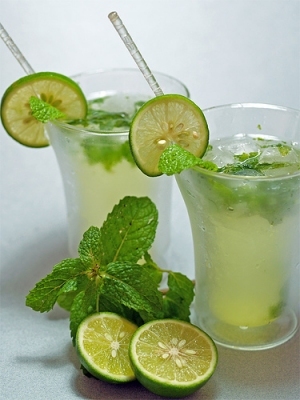 Fill a pint glass halfway with ice, add a handful of clean, fresh mint leaves, add 3 ounces of fresh lime juice and 1 ½ ounces of simple syrup. Gently muddle the mix with a wooden pestle. Add more ice, top with club soda, and serve with a mint/lime garnish. Delicious! Tip: You can prep the mint leaves and squeeze the lime juice ahead of time, but DON’T muddle the mint beforehand, or it will blacken and wilt. Ick. 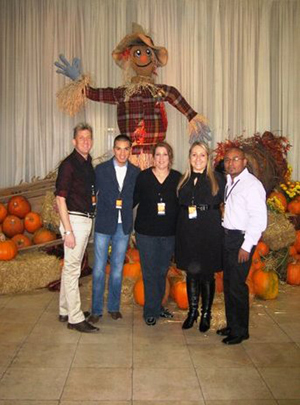 Giving Thanks for Darryl & Co.
We’re thankful for all of the great Houston wedding vendors, but this week, we’re especially thankful for the generous gang at Darryl & Co.
On November 8, the Houston-based events design firm teamed up with Rachael Ray to give 2,000 Wilmington, Ohio residents a Thanksgiving to remember. Many of these Ohioans have lost their jobs since the delivery company DHL Express closed up shop in Wilmington last year, and Ray didn’t think these layoffs should keep them residents from enjoying a tasty Thanksgiving meal. Having worked with Darryl & Co. to coordinate a lavish wedding for several Houston brides at Minute Maid Park last fall, she knew just who to call to help her out. 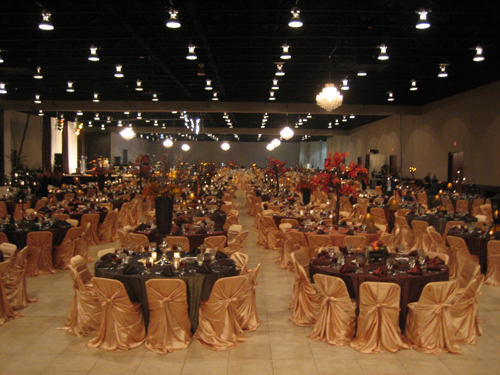 Naturally, Darryl & Co. was happy to pitch in and spruce up the Wilmington convention center for the big day. During their three days in Wilmington, they helped remodel a local food pantry and worked with “Design on a Dime” host Kahi Lee on dinner décor for the Thanksgiving feast. Together, they designed five different centerpieces, using lanterns, amber votives, and tree branch candelabras. The tables were covered with linens in warm, seasonal hues like gold, brown, chocolate, and burgundy. “When you saw the sea of tables, they looked like a fall tree,” says Darryl & Co.’s Lee Capetillo. “It was really, really fun,” says Capetillo. “The whole town was so supportive from the moment we arrived at the hotel, and we had lots of volunteers who helped us get the place ready.” In fact, Darryl & Co.’s crew made a few new friends with the volunteers, who were eager to help in any way they could. “Our visit was about much more than just setting us up for TV,” Capetillo says. “We made friends and became accepted as part of the town.” With that kind of generosity, we can see why Darryl & Co.’s staff are so popular. 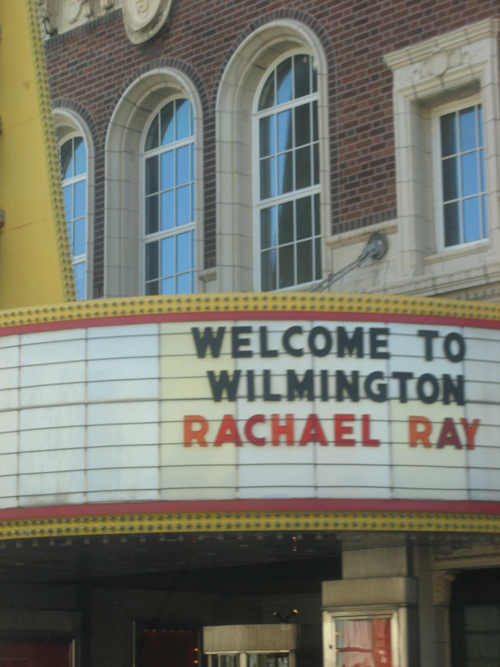 The episode aired on November 25, but if you missed it, you can check it out on Rachael Ray’s website. Oh boy, are we excited to turn you on to Freddy & Ma. This brother and sister team makes finding the perfect handbag to go with your gown or bridesmaid dresses a breeze. What do we love the most? Why, being able to shop by color, of course! Looking for green? Freddy & Ma have got limes, olives, forests, shamrocks, springs and emeralds. Got your girls done up in pink? Freddy & Ma offer fuchsias, roses, salmons, cerises and the palest blushes. Looking to contrast your maids’ orange or pink gowns with a hip yellow handbag? Look to Freddy & Ma for ambers, golds, mustards, lemons, goldenrods and chartreuses. And what about patterns? Glad you asked! This uber-talented design duo has everything from florals large and small to paisleys to geometrics to mod motifs, fleurs de lis, peacock feathers, and on and on and on. For the bride who can’t decide, Freddy & Ma has custom style options with features including chain wristlets, hot-pink grosgrain lining, leather trim and ID pockets. You really can’t go wrong with these retro-chic, totally contemporary, perfect little clutches—for your wedding day, or any day.